Whether you’re looking to upgrade your home before selling it, or you have an itch to invest in some projects of your own, it might be helpful to know what popular renovation projects are happening in Canada. 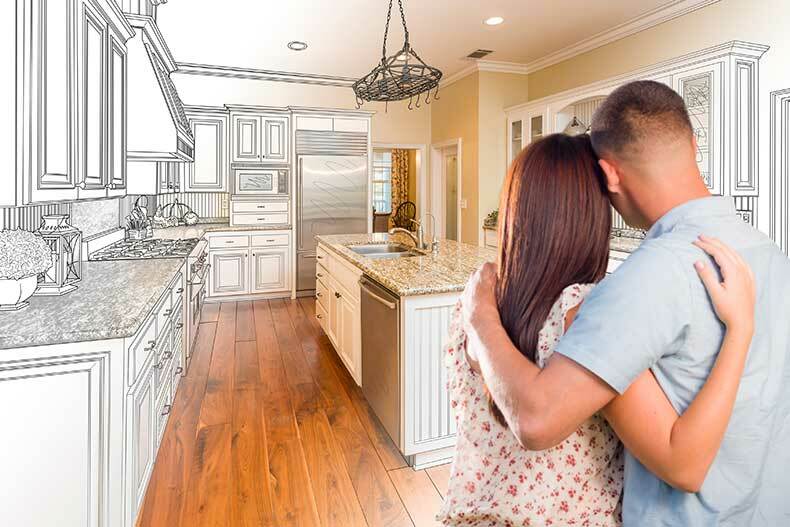 It’s important to keep up with renovation trends in the event that you are looking to sell your home, as a new investment project can make or break the home’s value. Take a look at what projects Canadians are most interested in, and how many dollars are being contributed to renovations. Every homeowner is interested in having a beautiful kitchen. Whether it’s an open concept space or a cozy cooking area, a kitchen can have a huge influence on the rest of the home’s value. Kitchens have always been one of the most popular renovation projects in Canada. On average, Canadians are spending $23,000 on kitchen renovation projects. New cabinets, sink installments, and countertops are among some of the most desired home improvements. New roofs are always an important renovation, both for aesthetics and for functionality. Nothing is worse than a leaky roof, as it can cause major water damage and disrupt the flow of hot or cold air throughout the home. For residents in coastal areas such as New Brunswick, roofs are some of the most popular home improvements due to the influence of storms and rain. Many individuals have invested in new roofing technology, such as green roofing projects, which help keep a sustainable roof free from leaks and environmental damages. Canadians are interested in adding or remodeling entire rooms in their homes. Custom projects are widely popular across the nation. According to a Huffington Post study, 31% of Canadian homeowners are planning a family room addition or major remodeling. Add-ons are generally one of the most expensive projects, and investment is often costly and irreversible. It is a big decision for the average resident, but it continues to be a popular trend among Canadians. One of the most searched and quoted improvement projects among most provinces in Canada included window renovations. Canadians are looking to replace small windows with big ones, install new panes, and invest in new window and door sliding technology. Having new and modern windows can greatly increase a home’s value. On average, 32% of Canadian homeowners plan to replace their windows and doors with new models and larger frames. Windows can add a lot of benefits to a home by allowing more natural light and creating an impression of spaciousness. Floor renovations are always one of the most searched improvement projects across the country. Flooring has always been considered a modestly priced investment, which is a good place to start for many Canadians who are looking to take on a dependable project without breaking the bank. Flooring improvements can increase a home’s value, especially if the residence’s current carpet is dirty, flattened, and unable to be cleaned. New carpet adds modernity, and new wooden or tile flooring can help clear away any dirty or grimy areas that have become difficult to look at. Perhaps the most common, and definitely one of the cheapest renovation projects for Canadians involves painting. Both exterior and interior painting projects are affordable, and can add a lot of value to the home. Before taking off a painting project, however, make sure the paint of your choice is in keeping with housing standards. Many housing communities across the country have rules and regulations for painting.